7. “Cancer stricken” author of cookbook faked her cancer for fame and fortune!! I know I have discussed this on occasion, but there was a recent landmark article in the New England Journal of Medicine that points out what is on the table for our Republican-led Congress to decide on. Did you know that Medicare and Medicaid fund medical education at the residency level ($15 billion dollars in 2012—117,717 residents and their teachers), that you pay for through payroll taxes, personal medical costs, etc. and the system of payment has not changed since President Reagan. 2/3 of the annual Medicare payment goes directly to teaching hospitals primarily in large urban cities. This is not where most primary care doctors are trained. The payment is slanted too far for inpatient care and not enough for community programs. THAT IS THE PROBLEM. The state of New York is heavily weighted in Medicare/Medicaid payment, and even medical residents in training slots are paid $13,000 per year in NY and $65,000 in Texas, but all of that money does not go to the doctors…it is for the teaching of that slot and all it entails. The medical education establishment has been run by those academic and U.S. Congressional heavyweights from the Northeast for too long! Half of the state based Medicaid payments for medical education go to New York.Expect a huge fight from them when these new proposals to change that come up. 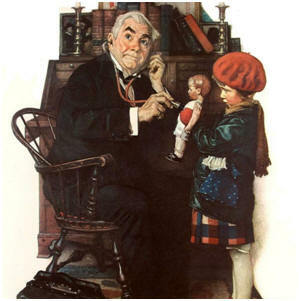 Republicans have not been the kindest to medical funding, but they must carve out new money for funding of community family medicine programs, if we are to have any chance of addressing the major shortage of primary care doctors. That includes residency trained family medicine, pediatric, and internal medicine doctors. Even OB/Gyn is included in some of the payment schedules. There are some groups against Medicare and Medicaid funding medical residency education , and I actually agree with them. This should be carved out in the budget and not let it be contaminated by the usual bureaucratic abuse that happens with every Congressional bill. The Institute of Medicine actually wants to replace this payment model, but in the end, I don’t see a big difference. This entire problem of overpopulation began with the flooding of our borders from all over the world….refugees from the Middle East, Africa, Central America, and Mexico. Allowing this influx has created many other social and health problems, but it certainly has burdened the states with welfare recipients. That is why many of the states rejected federal subsidy for expanded Medicaid, because in just a few short years will be paid more and more by the states, and that is putting them in financial trouble. Obama’s policies have increased the continued glut of humans into our country, and now the medical community must adjust. It is what it is…right or wrong. The Academy of Family Medicine and American Academy of Pediatrics the Obama administration are supporting the recommendation that $5.23 billion be redirected to innovative programs to create grants for residency slots in community programs. This is a very important initiative that when it comes up, you need to talk to your congressman to support. It is the only way funds can be redirected to where the support for medical education at the resident level need to go. It this kind of funding that can protect adequate numbers of primary care doctors in the future. Every aspect of academic medical centers will undergo major transformation, how care is delivered, how students and residents will be educated, and how medical research will be funded in the decades to come. 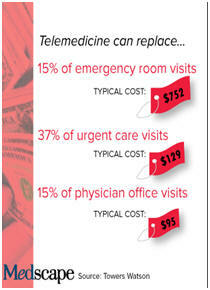 Dr. Eric J.Topol, a recognized authority in telemedicine and Cardiology, has reported in Medscape that the continued advances in telemedicine will have measurable savings in medicine. Whether a monitor you are wearing on an I-phone prevents a heart attack, or a monitor tells a diabetic to take their insulin, or a doctor talks to you on the phone and keeps you out of the emergency room, it all means better, faster and less expensive care. This is real progress. The status quo is going!! 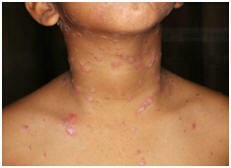 butheredity plays a role in 40% of cases. In fact, if a parent has the disease, the risk is three times more likely. 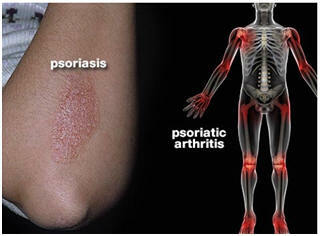 85% of those who develop psoriatic arthritis already have dermatologic psoriasis. Triggers include injury to the skin, infections (Strep), bad sunburn, HIV, emotional stress, smoking, alcohol, hormones are all factors. This is a serious inflammatory skin and joint disease and deserves a proper workup by a dermatologist and/or rheumatologist, because some of the more serious treatments include immunosuppressive drugs. The standard treatment can start with NSAIDs (non-steroidal anti-inflammatory drugs), but if more resistant may require these biologic drugs that interfere with the immune process. These drugs may be necessary in skin and joint psoriasis. Prescription steroid creams, shampoos, tar products, light therapy (UV) all will be tried on the skin lesions before the biologic type of drugs are used. 4) Spondylosis-spine may be involved partially or completely causing stiffness, with difficult motion; involves the ligaments as well; can also involve all joints. These are examples of deformity, X-ray evidence of calcification, and joint abnormality. Unfortunately there are no diagnostic blood tests for this disease. It is made clinically as so many of the autoimmune diseases are. Treatment frequently requires these biologic drugs to prevent deformity and significant pain. Kim Kardasian, pseudo-celebrity, has psoriasis and Phil Michaelson, famous pro golfer, has psoriatic arthritis, so the disease can be controlled, not cured. Maybe that is why Kim likes to show so much of her skin. The common drugs prescribed for the arthritis nicknamed DMARDS-disease modifying antirheumatic drugs. They are Methotrexate, Plaquenil, Azulfidine. Even a newer treatment uses biologic agents such asHumira, Enbrel, Remicade, Cimzia, and Simponi. 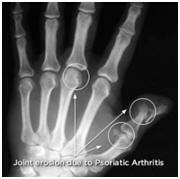 These are the same medications used in rheumatoid arthritis. Since they suppress the immune system which is creating the inflammatory process, there is an increased risk of tuberculosis, systemic fungal disease, Legionnaire’s disease, and Listeriosis. 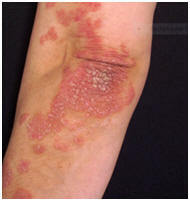 There are non-joint and non- dermatologic complications from psoriasis that must be diagnosed. Cardiovascular disease is probably the most serious complication that is increased in patients with psoriatic arthritis, as it is in rheumatoid diseases, just reported in the NEJM. 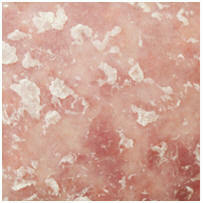 www.psoriasis.org is the website for The National Psoriasis Foundation and worth checking out. Lung cancer kills more Americans than any other cancer, and smoking accounts for more than 80% of these cases. 228,900 cases were diagnosed in 2013 and 159,480 died of lung and bronchial cancer according to the Centers for Medicaid and Medicare. 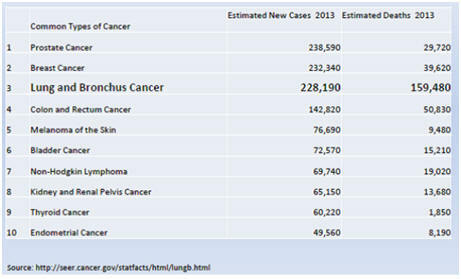 Below is the chart of incidence and deaths from the 10 most common cancers. Trying to get adults to quit smoking is a poor way to get this cancer under control, although it is strongly encouraged and a lot of money is spent on cessation programs. The American Cancer Society, American Lung and Heart Associations all work hard to educate the public and there are Youth Against Tobacco organizations which make an impact. Keeping kids from starting to smoke is the most effective way to cut the incidence of smokers. That is why taxing tobacco is a crucial way to prevent kids from buying cigarettes, because it increases the price and that is a good deterrent for youth. Even though the smoking rates are steadily but slowly dropping (17% still smoke), these efforts are still not enough. I have covered low radiation CT scan screenings for past and present smokers in report 20. Medicare and most private insurance agreed to pay for screening CT scans for selected adults from ages 55-77. To qualify for these tests, the person must have a history of 30 pack years (i.e. 15 years if 2pack a day). The person also must either be a current smoker or have quit within the last 15 years. The Radiology Center must also state in writing that smoking counselling was given and that all data be reported to CMS (Centers for Medicare/Medicaid Services) that is recorded in a national registry for constant analysis of these patients. Why do this? Because, early diagnosis can cure an extra 20% of lung cancers, and that is worth it to the states and federal government, which would impact health costs in the billions. 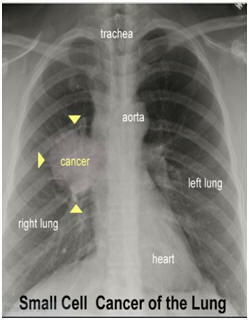 Lung cancer kills more than 90% of cases because the symptoms of this cancer like others (pancreas, colon, ovary) if the cancer is not caught early. Even though there are mild but not diagnostic symptoms, they are not enough to bring patients to the doctor. Morning cough producing mucus or not, a hacky cough, a little shortness of breath, raspy voice, etc. just don’t scare people enough, because most smokers have them and have had for years. By the time chest pain, hacking up bloody sputum, and weight loss occurs, the cancer has grown considerably and may have even metastasized. Symptoms from the spread may even be the first symptoms, like a seizure from a brain met. We must do better. The annual low dose CT scan has shown great promise, because this effort is diagnosing 20% of these cancers early enough to save these lives. Not enough smokers or past smokers in this age group are taking advantage of this screening test. Doctors need to be more proactive in recommending this annual test. If you know a smoker, or one who has quit within 15 years and is 55-77, please encourage them to get tested. You can save a life…a life of a loved one, friend, fellow worker, etc. 4. What is the latest in birth control? There are some new and improved forms of birth control. There is only one way to prevent pregnancy and STDs---abstinence. However, there are very effective ways to prevent pregnancy but don’t prevent STDs. Combination methods with spermicide and other vaginal appliances are very effective. The patch, tubal implants, subdermal implants, improved IUDs, etc. 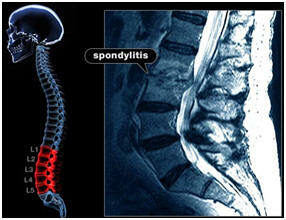 are all available and some require physician customizing, increased cost, and even X-rays. Here are 2 diagrams that will give you the percent effectiveness. A recent study noted that 7.1% of teens opt for long acting reversible birth control (dermal implants and IUDs). The current IUDs last either 3, 5, or 10 years. 7.5 million teens sought birth control this year, according to the Family Planning Annual Report. 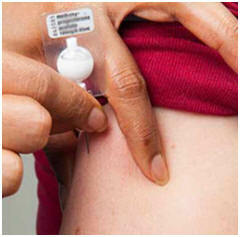 Moderate protection can be gained with oral contraceptives, injectibles, patches, vaginal rings, and diaphragms. 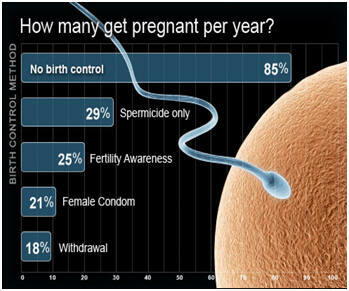 The least protective are condoms, spermicides, withdrawal, and sponges. Teens use moderate protection 73% and least effective protection 19% of the time. 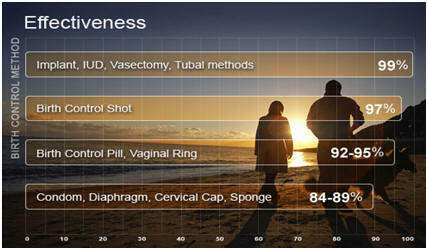 The Southern U.S. uses long acting contraceptives the least and Western U.S. the most. The cost and state programs influence these findings. The CDC provides a great resource for family planning. 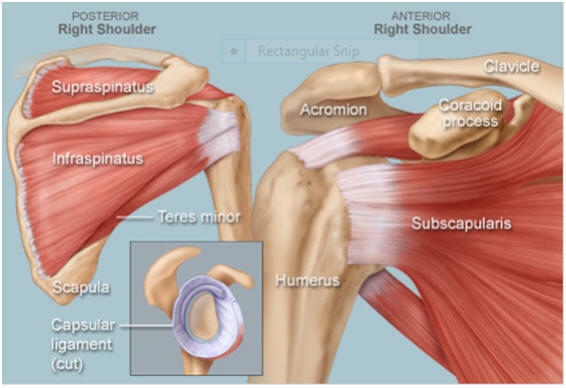 Last month, I provided an anatomy lesson on the shoulder. There is no way a person can understand shoulder problems, especially the rotator cuff, without trying to have a general idea about how those muscles support and allow movement of the shoulder joint. Review that anatomy before trying to understand all that is in this report. 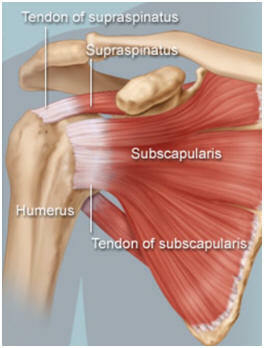 90% of shoulder pain comes from the bursa (lining) of the joint or the tendons of the rotator cuff muscles. Bursitis and tendonitis usually starts from overuse, trauma, etc., however, looking for an underlying cause such as rheumatoid or osteoarthritis needs to be investigated. 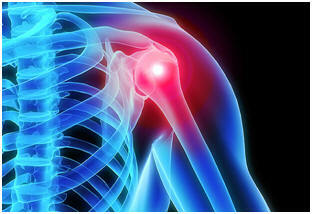 A shoulder exam must include evaluation for tenderness, swelling, loss of range of motion, warmth, and redness. X-rayswill show loss of joint space, joint swelling, erosion of bone, and loss of the cartilage (glenoid) in one or all of these diseases. Even “referred” shoulder pain can come from angina of the heart, cervical disc herniation or vertebral nerve impingement. Even an infection (septic arthritis) or bone tumor has to be thought of. Removing fluid (aspiration) from the joint would allow diagnosis of infection, gout, pseudogout, or injury (blood). Calcific tendonitis, as seen in this X-ray, shows calcification of the supraspinatus tendon, which can lead to destruction of the joint. Lupus and other rheumatic diseases can cause avascular necrosis (in the hip joints too). Avascular necrosis creates loss of blood supply from the disease or repeated steroid injections can cause the head of the humerus to dissolve. 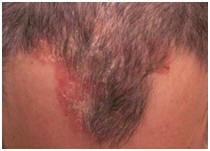 It can also occur in those with alcoholic abuse. 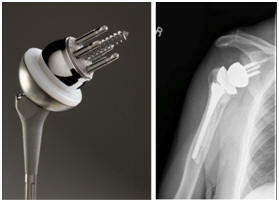 1) shows severe arthritis of the joint with loss of the joint space and destruction of the surface of the humeral head. 2) The second shows a colored representation of the same X-ray. 3) The third shows a normal joint. 4) The fourth shows with bone on bone severe osteoarthritis. Pain is the main symptom. That is the primary reason for seeing a doctor. It is simply the wear and tear arthritis with erosion of the bone surfaces, loss of joint cartilage, inflammation, swelling, pain, and loss of range of motion. This is what I suffered from, and was the reason for a joint replacement. By far this is the most common diagnosis in aging joints to be a candidate for replacement. 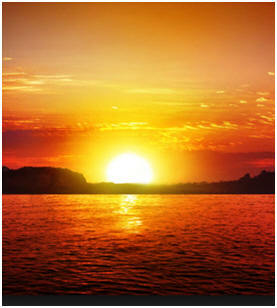 Pain is the reason for replacement and relief of it is the goal of surgery. 1. 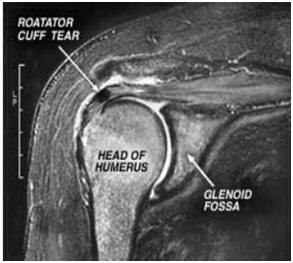 The Supraspinatus muscle starts under the clavicle and travels over the humeral head as seen in this MRI. It is at that point that tears can occur, also seen in the right photo. The anatomical photo shows this muscle and tendon.This type of injury may now be repaired with a simple stem cell injection. It is where the tendon of the rotator muscle attaches to the bone that acute injuries are most common. 1. Symptoms last longer than 6 to 12 months. 2. There is a large tear more than 3 cm. 4. Injury occurred from an acute injury. 2. 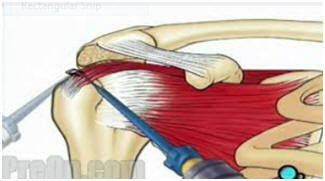 Arthroscopic repair of the tendon (most common today). 3. The mini-open repair, through a 3-5 cm incision. These procedures can be performed in or outpatient. 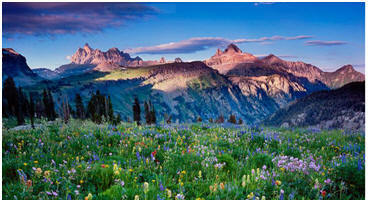 Many times addressing joint issues at the same time will be necessary from pre-existing injury and or osteoarthritis. a) Healing of the tendon and muscle—4-6 weeks. During this time a sling will usually be worn full time. No or little movement of the shoulder is allowed. Pain meds will be necessary for a few weeks, decreasing with time. Sleeping pills will be helpful, as the night pain can make good sleep difficult. Difficulty with urination and constipation can occur from opiates. Stool softeners and laxatives will be helpful. Having help getting out of bed may be necessary. Ambulate as fast as you can to get your strength back as quickly as possible. 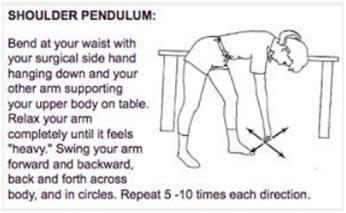 The pendulum swing will be the first exercise you will do. b) The second 4-6 weeks involve movement with instructions and or assistance with movement from a physical or occupational therapist. Follow instructions carefully so that the repair is not interfered with. c) The third 4-6 weeks includes strengthening exercises for the entire shoulder. Getting range of motion strength back will require small weights (2-5 lbs. ), elastic bands, and instruction on how to do them correctly. There will stiffness and mild pain with motion for some time, but avoid any stretches that cause real pain. Range of motion comes with time. How much full range of motion depends on many factors including age, pre-injury shoulder strength and rotation, joint status, doing appropriate exercises, and motivation to create a “new normal”. It is a long process, so be patient. There is a good reference for rehabilitation following surgery. 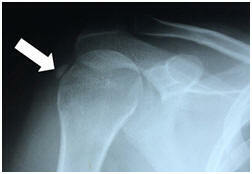 Complications include infection, re-tearing of the rotator cuff, stiffness, and nerve injury. To expose the tears, other rotator muscle incisions may be necessary and require healing time just like the repair does. I have just recovered from a total shoulder replacement, so between my studies, my instructions from my surgeon, and an occupational therapist, I am in a good position to report on this procedure. 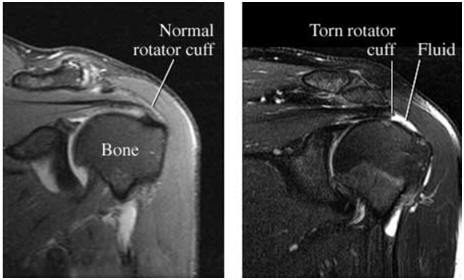 As pointed out last month, the analysis of the joint abnormalities and rotator cuff status is vital to a good diagnosis. 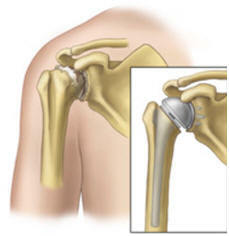 Many patients need rotator cuff and joint replacement at the same time. The amount of damage to the joint will determine the exact technique necessary. 1. 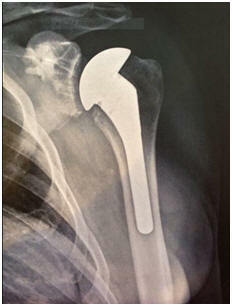 Standard total joint replacement. This means replacing the head of the humerus. This requires trimming the head flat and placing a prosthesis just as in a hip replacement. This is much simpler and gives better results. However, to be a candidate for this, the glenoid fossa (the surface of the recipient site of the scapula) has to be in good shape even though the cartilage will be worn away. My X-ray! 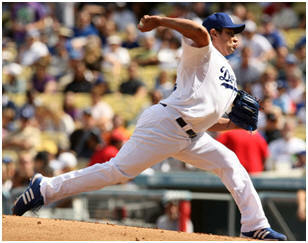 a) Rotator cuff injuries that can’t be repaired. b) Cuff teararthropathy—this occurs when the joint has been damaged and needs to be replaced. 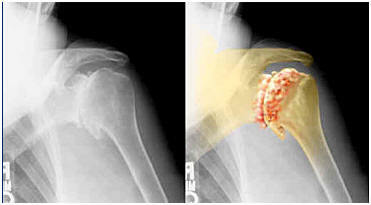 If the damage of the surface of the glenoid fossa has been eroded irregularly, both the surface of the fossa and the head of the humerus must be replaced, as shown in the above 2 photos. This is more complicated as it requires reversing the prosthetic ball as opposed to the simple replacement that I had. 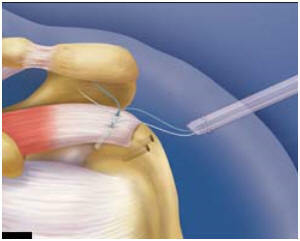 c) A previous shoulder replacement that was unsuccessful. d) Severe pain and inability to raise the arm away from the body. This procedure takes longer to heal and recover, but it can be very successful. My shoulder replacement surgery was pretty easy compared to having both my knees replaced at the same time. I had a great surgeon, and I followed his instructions. I am a full month ahead of schedule and started playing some golf in 3 months. That is because of previously attending regular yoga classes and being in good condition. 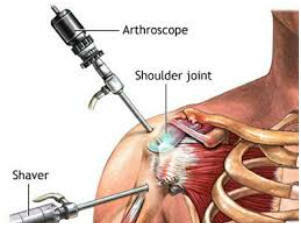 Any surgery will be easier for the surgeon and the patient if a one goes into the operation in top physical condition. Always follow your surgeon’s instructions carefully. Without motivated rehabilitation, no joint replacement or rotator cuff repair will be as successful. There are several sites to search that come from university orthopedic departments. Even video of the surgery is available if you want to see the actual surgery. www.orthoinfo.org is a great resource for many articles on orthopedic injuries and procedures, developed by members of the American Academy of Orthopedic Surgeons. It is my opinion that a patient should seek out an orthopedic subspecialist in upper extremity surgery. This surgery requires the upmost in experience. 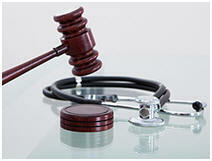 The Senate did a fine thing to protect physicians from malpractice suits. In developing federal practice guidelines, lawyers will not be able sue a physician because they did not followfederal guidelines for disease management. Guidelines are just that! They are not rules! 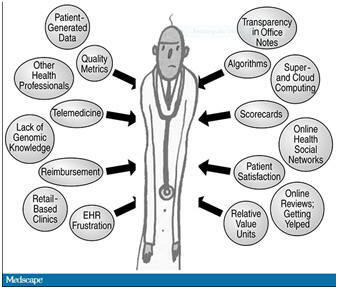 Physicians need to do what is right for their individual patient. Every patient must be treated based on a multitude of factors, and even though practice guidelines are wise in general, they would be abused by unscrupulous lawyers using them to sue doctors. The wisdom behind paying doctors for quality of results is a good one and so areperformance standards, but will certainly cut out a lot of sick patients from getting care, because the doctor would know that the risk of getting a poorer result is higher. There will need to be some protection for patients and physicians in difficult circumstances. America must get higher quality of care for all patients. Some of these new ideas will have to be tested over time to see if they are actually saving money and increasing quality. There are some physicians that need to update their care, and these guidelines will assist them in staying current. But, it is very nice to see a bipartisan Senate protect physicians for a change to protect physicians from mandatory federal performance standards. Next month, I will discuss federal guidelines for health screens and its influence on healthcare. It will be my opinion. 7. “Cancer stricken” author of cookbook faked her cancer for fame and profit!! Belle Gibson, an Australian entrepreneur, faked her cancer in 2003 to gain notoriety and a best-selling cookbook touting to cure cancer, rejecting traditional medical treatment for cancer. She claimed she was cured of a brain tumor using non-traditional nutritional and alternative medicine to cure her terminal cancer. She also created a $1.99 app that sold 300,000 copies. This is a perfect example of the charlatans out on the internet and other areas that will do anything to make a buck. The publisher of her cookbook has cancelled printing any further copies of her outrageous claimed cookbook. It is especially egregious when people recommend treatment for disease encouraging others to turn their back on traditional medicine. No one has all the answers and Western and Eastern Medicine needs to bond to explore the value of each, but until then stick with evidence based medicine.